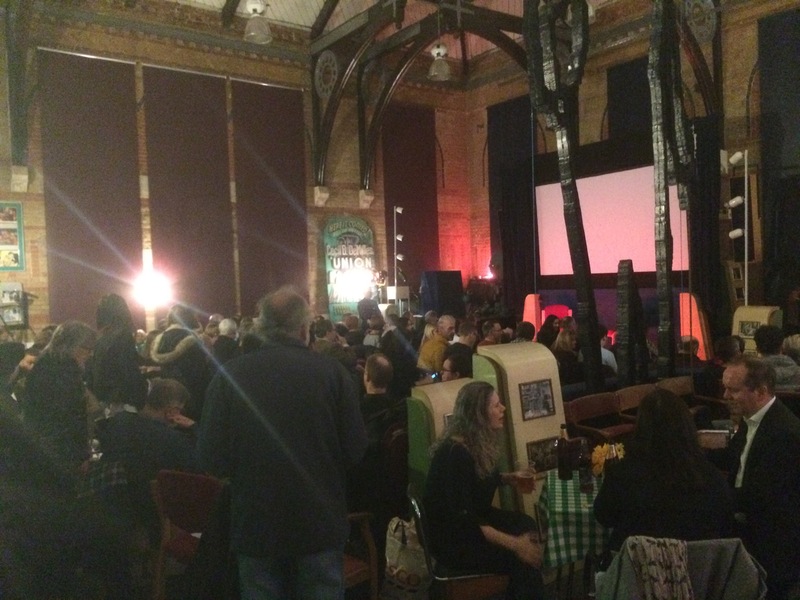 The lovely Cinema Museum in Elephant / Kennington (53 bus from Blackheath Royal Standard takes you straight there (with a 10 minute walk from the stop by the London College of Communication) is under threat of losing its premises which are being sold by the South London and Maudsley Trust (SLAM). 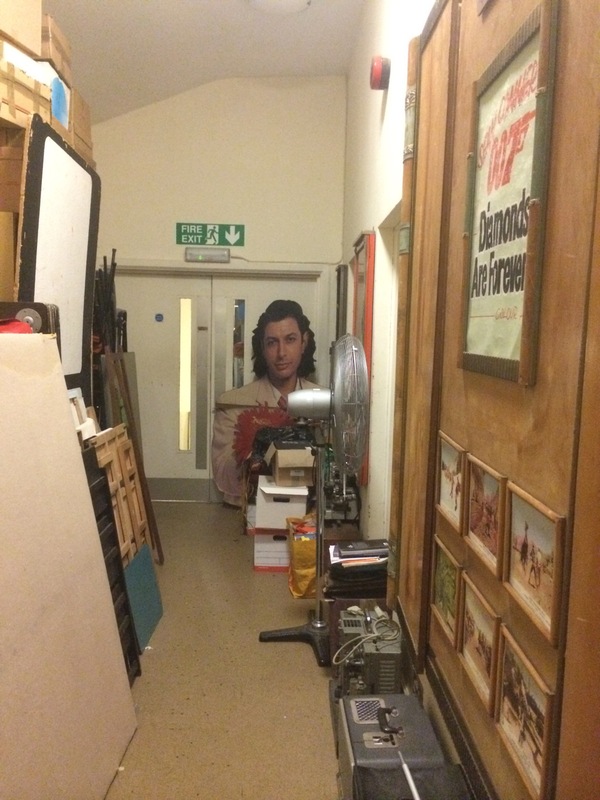 They’re raising money for the NHS (good) but the cinema museum is a lovely place which does all sorts of wonderful things for different communities, and it would be a shame if it were lost (bad). I was there last night for a fundraising event with Matthew Sweet interviewing Mark Gatiss (it was great) about some of his favourite films, with clips. It was packed. 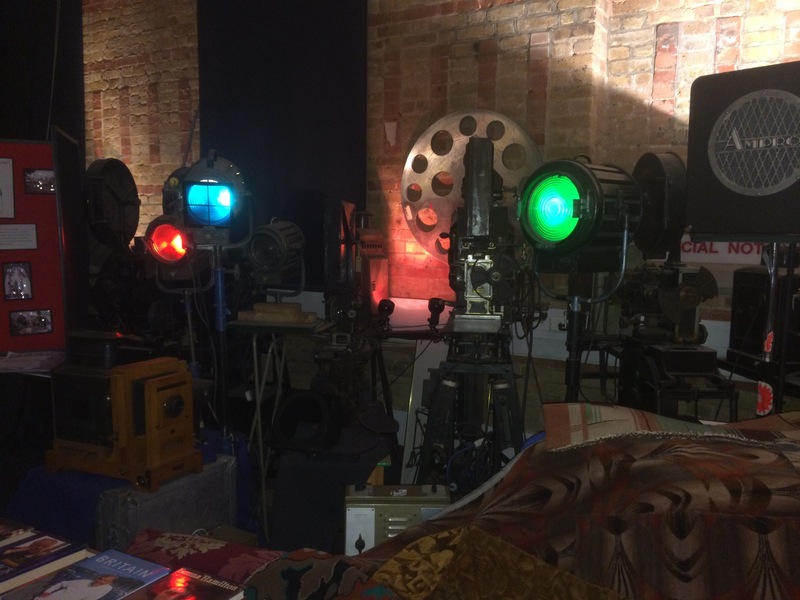 It’s a really lovely place and I’ve been a few times to see films, attend the Home Cinema Day and hear talks. They serve tea and cake (Tunnock’s products also feature), I’ve had the most delicious spinach and feta ‘sausage’ rolls there too, plus they have a full bar. 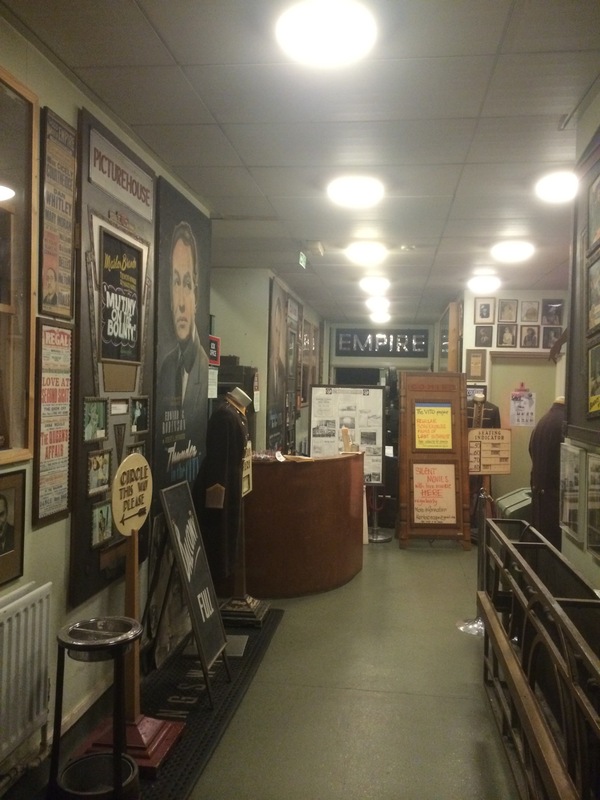 Plenty of loos upstairs and downstairs and every bit of space is covered in something interesting from cinemas around the UK. 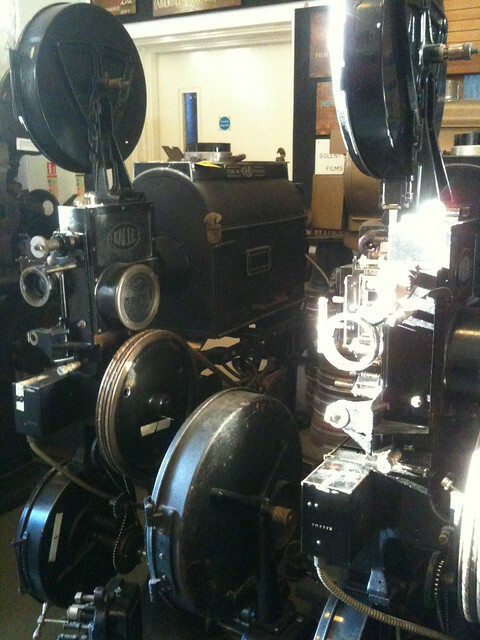 My favourite things are the old projectors, which must have been quite a sight when running. Below are some photos of mine (help yourself) and found in other people’s tweets (don’t help yourself but it’s OK to embed the whole tweet). 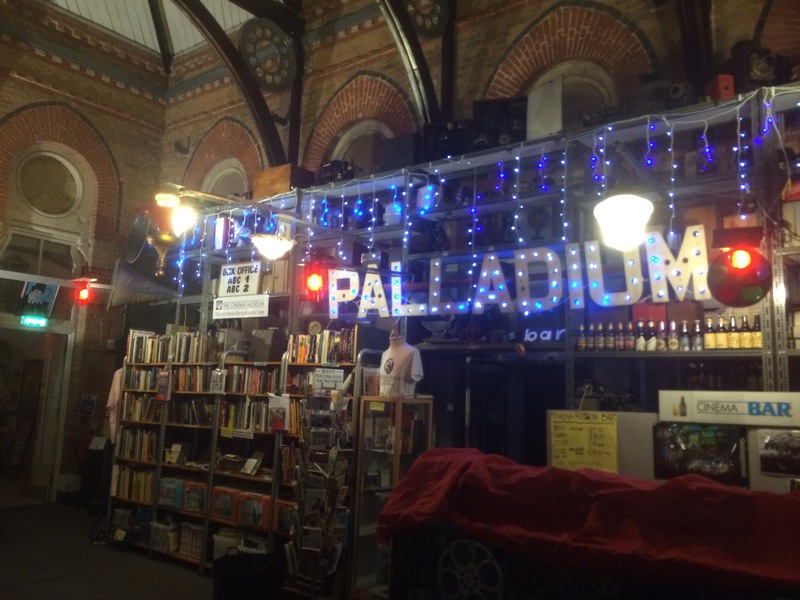 Upstairs at the Cinema Museum – all the books are for sale and the bit on the right is where the bar is. Further to the right (not in shot) at a 90 degree angle is the tea and cake area. Plus all the recycling bins. Jeff Goldblum in character as Dexter King from The Tall Guy which I’m hoping to get screened at the museum at some point… it’s not on FilmBank though. 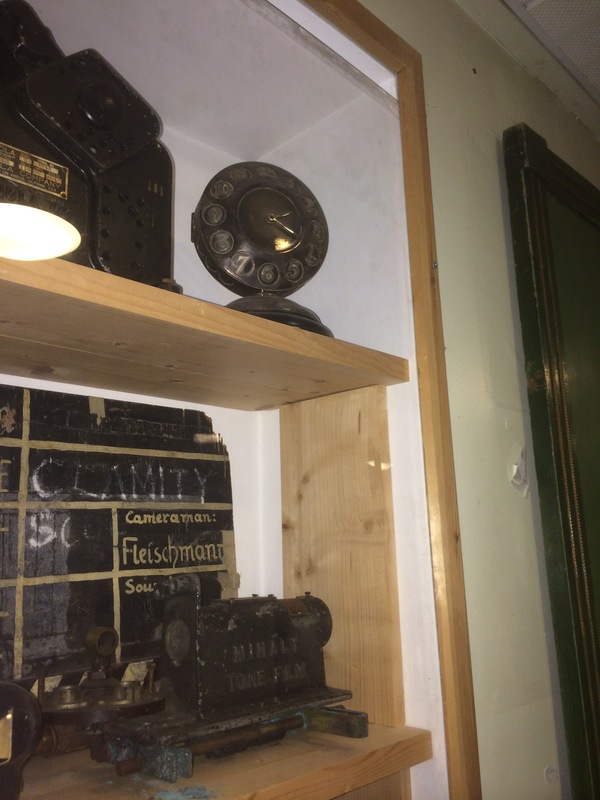 This is upstairs, at the back of the room above (where the loos are). The main upstairs cinema screen / auditorium, packed for Matthew Sweet and Mark Gatiss. To the right of the white and green unit, next to the table (with a white and green gingham table cloth) you can just make out part of the black wooden structure that makes up an image of Charlie Chaplin. It crops up a bit more clearly in Patricia Brown’s tweet below. 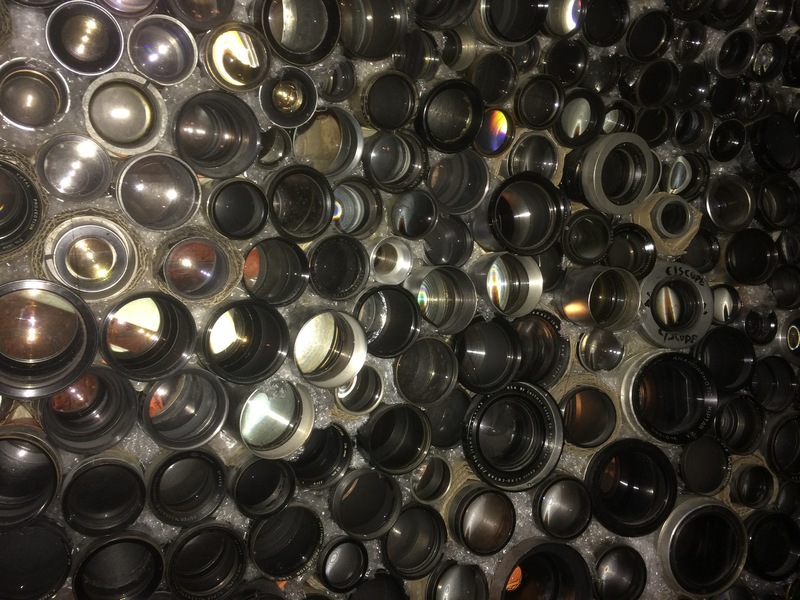 A lot of camera lenses. Here’s another picture I took of it years ago. 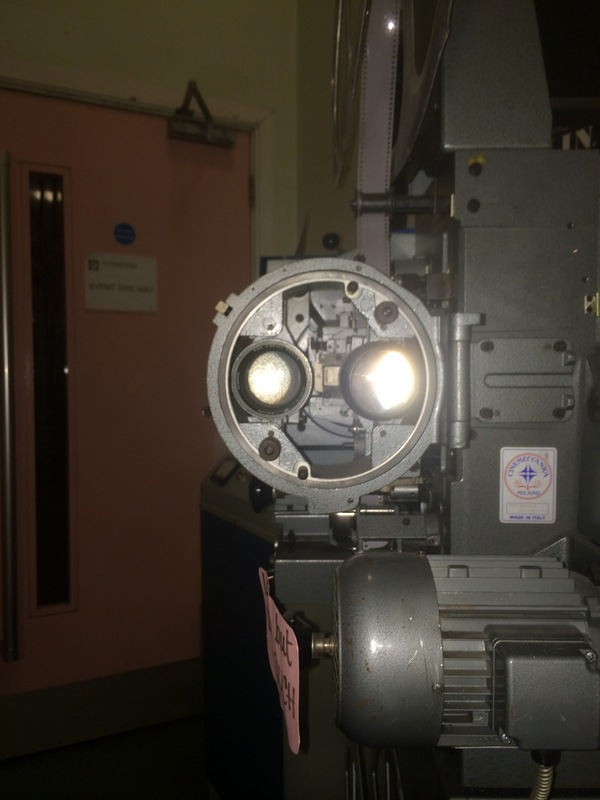 The Cinemeccanica projector, with lenses ablaze thanks to my flash. 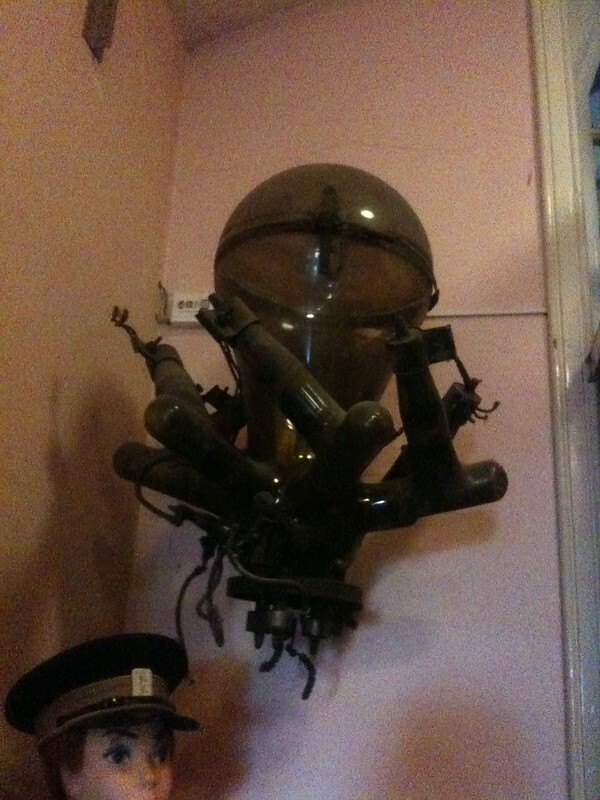 This sits upstairs by the stairwell. A thing I covet. The clock that reminds me of the microphone used in Singin’ in the Rain. 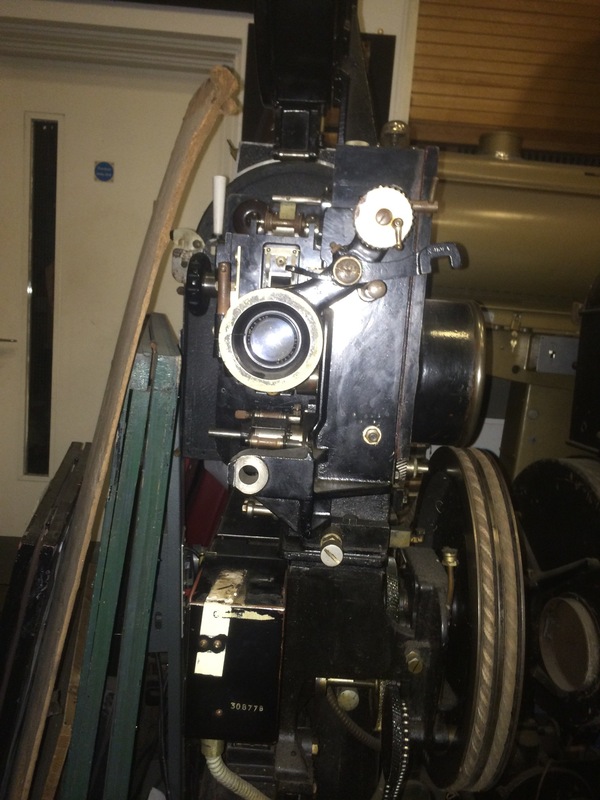 To its left is a Moviola film editing unit. One of the downstairs corridors, again packed full with stuff. Another photograph I took of the Kalee projectors a few years ago (2011). The light was coincidental, it wasn’t ‘lit’ other than by the sun. 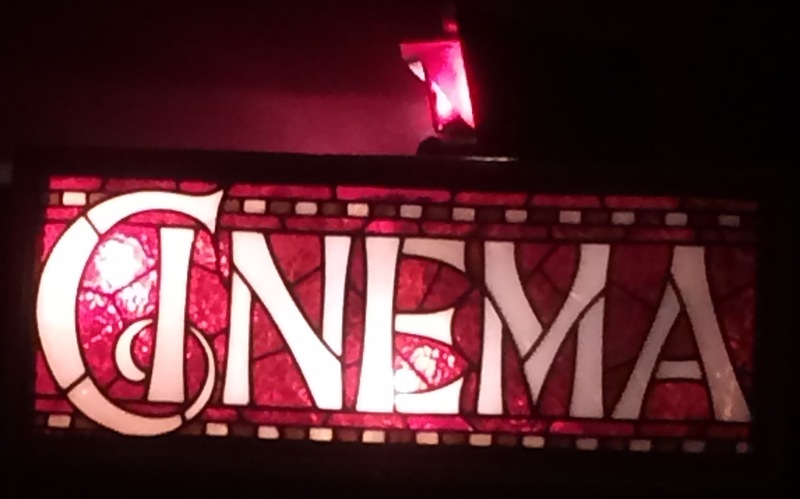 The very lovely glass Cinema sign in the smaller downstairs cinema just as you come in. Still no idea what this is. Guessing is fun. I assume a light of some sort.